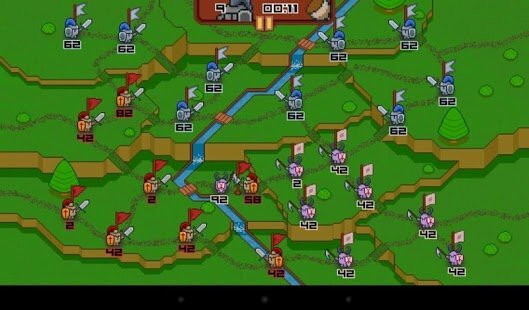 Twitchy Thrones is a fast and fun strategy game with a medieval fantasy setting. Battle your way throughout the violent land of Lefteros! Conquer varied battles rendered in gory and detailed pixel art! Complete challenges such as playing as the enemy, quickly losing a map and much more! Help House Storker bring honor and justice to all the kingdoms!